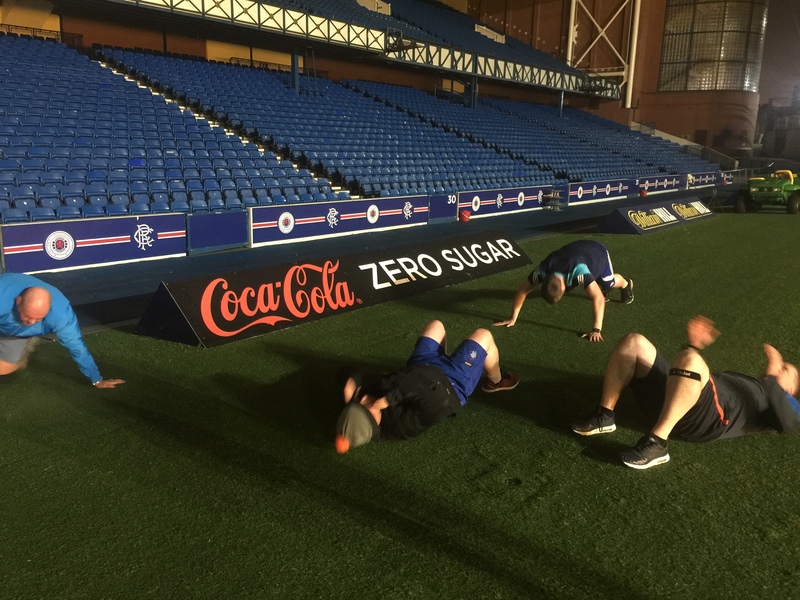 Iain Barnes topped the scales at 21 stone last year and was feeling unfit and unhealthy before he took the plunge and signed up for Rangers Football Fans in Training course last year. Five months on, he has lost an incredible 4.5 stone and is feeling amazing! “Since my 2 daughters were born my weight just continued to creep up and up until I realised I was very obese and living an unhealthy life style,” Iain explained. “I was having 2-3 cans of fizzy juice a day and also snacking on crisps and chocolate most afternoons in work. I was 44 years old, weighing 21 stone, with a 44 inch waist line and high blood pressure. 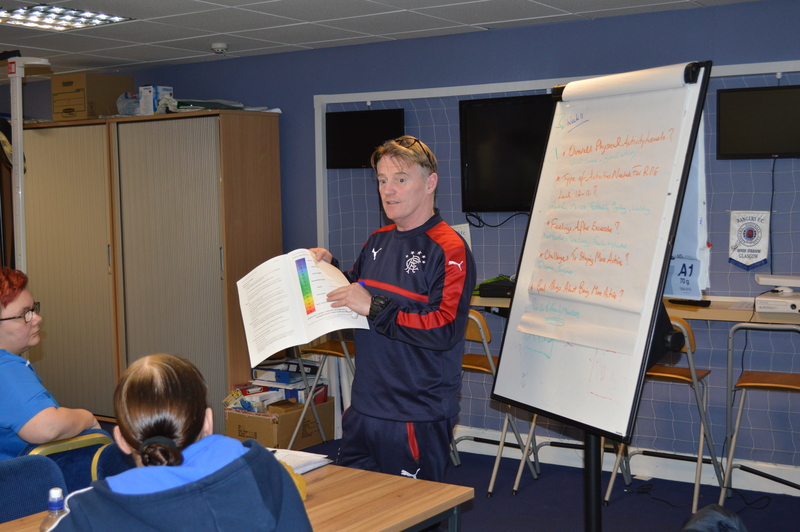 Iain saw the Rangers Football Fans in Training Course and read the success stories of former participants. He decided it was just the boost he needed to get his health and fitness back on track, and signed up for the free course. “I signed up as it seemed a great way to kick start a life style change. Going to the course was like drawing a line in the sand for me." “The help and knowledge provided by John Joyce was instrumental in educating me on what I was doing to my body. The course was a real eye opener. I cut out all rubbish, like fizzy juice, crisps and chocolate and started looking a lot more into what I was eating at lunchtime. I drank a lot more water every day than I’d ever done before. 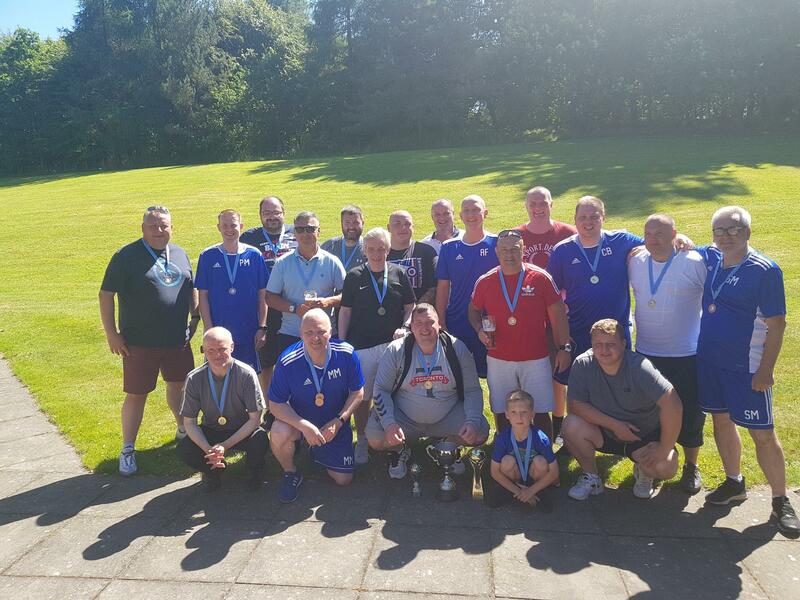 Motivation and education from the coaches was only one part of the equation for Iain, who also found the camaraderie on the course a huge benefit and a source of inspiration and support. “John and Willie, and all the other lads signed up for the course, made it really fun. The banter with the lads was great, and everyone really encouraged each other through the sessions. “I never thought I’d run 5K at the end of the course, but after the 12 weeks, found it fairly routine. We had John waxing lyrically about the dangers of ruining all the hard work over the festive period, so I even managed out on the bike on Christmas day before indulging in dinner. Iain is not stopping there either! 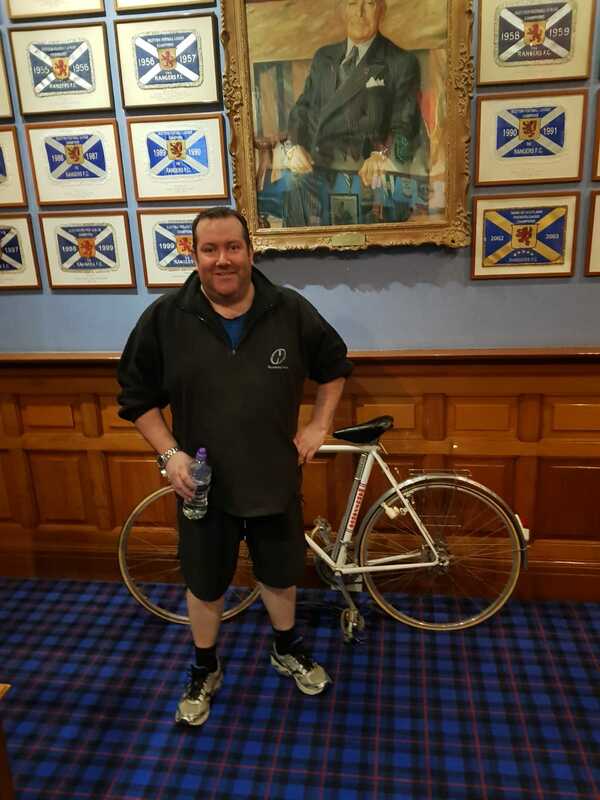 Having turned his health around in the last few months, he is continuing to set fitness goals for himself and is ready to sign up and take part in the Foundation’s planned Arran Cycle Challenge. “The next challenge for me is the Arran Cycle Challenge, which is a 55-60 mile cycle. A year ago, I couldn’t have cycled 1 mile before being out of breath, so I hope to continue getting fitter, and losing more weight, using all the information I learned from the Rangers FFIT course to do so. Well done Iain, and keep up the good work. We look forward to seeing you in Arran later this year!